The first thing you’ll notice when you enter Siro’s Bistro are the incredible aromas — the baking of fresh bread and croissants, crispy bacon sizzling on the stove or the simmering of roast beef or tomato basil soup. 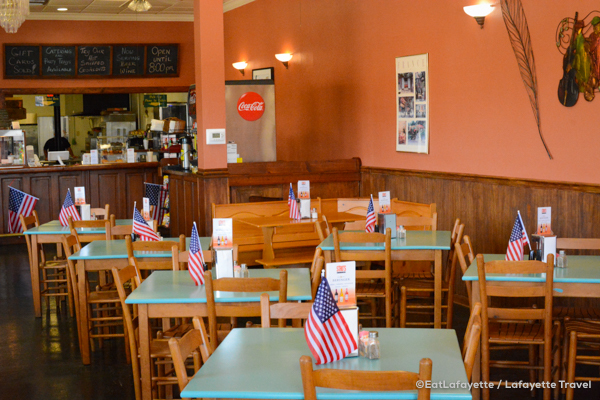 The family-owned restaurant serves up unique sandwiches, paninis and wraps as well as homemade soups and fresh salads. The concept for Siro’s began more than 20 years ago when the original owners envisioned a European bakery-style bistro that would serve tasty and somewhat different lunchtime sandwiches. Now owned by Mark and Charlene Stroud as well as their family, the goal of Siro’s Bistro is to maintain that original uniqueness of flavors while adding their own creative twists to the menu. 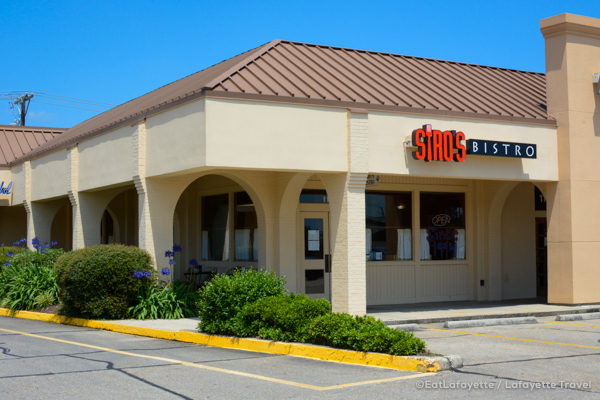 There have been some changes to the restaurant in the past year; the building Siro’s was previously located within was purchased, causing the owners to search for a new location. They discovered the perfect spot at 112 Arnould Blvd. in the Boulevard Shopping Center in the center of Lafayette. The new location has also allowed the restaurant to serve beer and wine as well as extend their hours to the evening. New hours are 10 a.m. to 8 p.m. Monday through Saturday. Whether you visit for lunch or dinner, there are so many great sandwiches and paninis to recommend. For instance, the roasted chicken Caesar salad consists of marinated roasted chicken breasts and Siro’s homemade Caesar dressing on a bed of romaine lettuce with Parmesan cheese and homemade croutons. 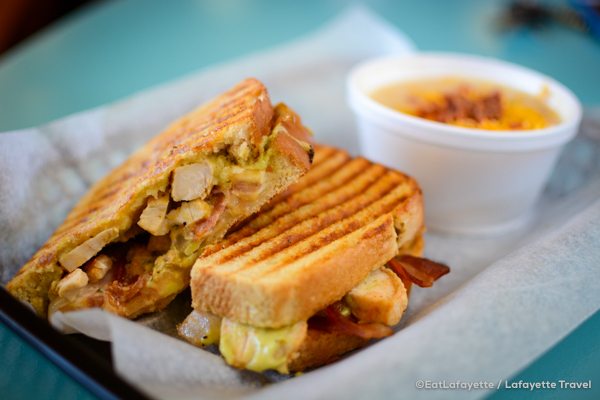 The Southwest chicken panini combines chicken, bacon, sautéed onions, pepper jack cheese, tomatoes and avocado ranch on sourdough bread, toasted on the panini press to a golden crunch. If you’re thinking local, the Cajun pepper steak signature sandwich tosses juicy home-cooked roast beef, sautéed onions, pepper jack cheese, spicy mayo and Creole mustard served on either a French or wheat hoagie or a croissant. Talk about good! 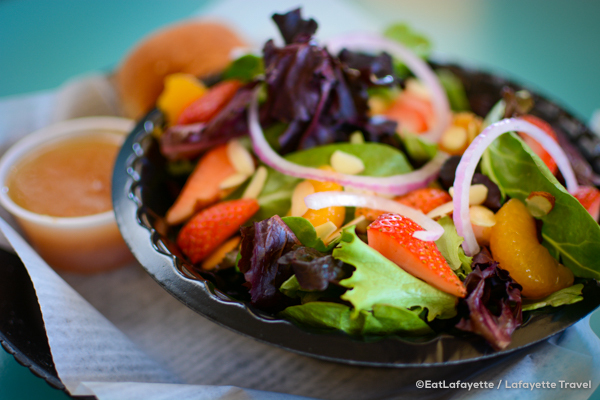 For the health conscious, the strawberry orange salad is a spring mix of greens with strawberries, mandarin oranges, red onions and almonds beneath the restaurant’s own sweet homemade orange vinaigrette. 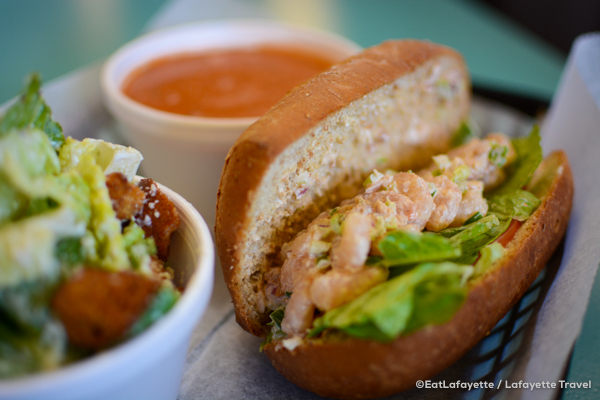 The shrimp salad sandwich incorporates a shrimp salad unique to Siro’s with mayonnaise, lettuce and tomatoes on a French or wheat hoagie or a croissant (owners recommend the croissants for this sandwich). Visitors can also try a combination of items. Stroud’s favorite dish is the roast beef sandwich on the French hoagie with a side Caesar salad and a cup of French onion soup. 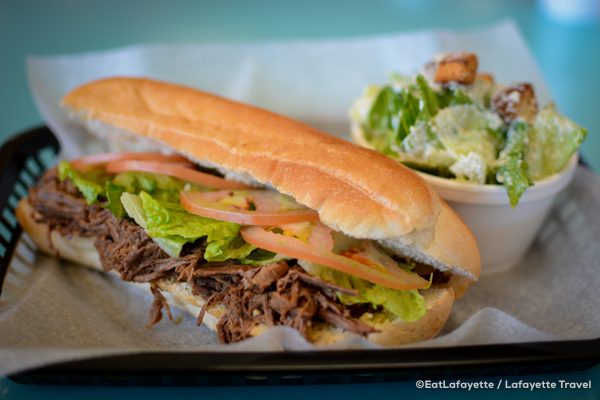 In addition to menu items, the restaurant features a daily special which is a signature sandwich served on French or wheat hoagie with a side Caesar salad and your choice of soup. What’s not on the menu, but arrives in abundance, is Siro’s Bistro ambiance. The restaurant remains a place where it’s easy to enjoy a casual, relaxed meal in a welcoming environment. Maybe it’s because beneath it all, Siro’s Bistro is a family affair.